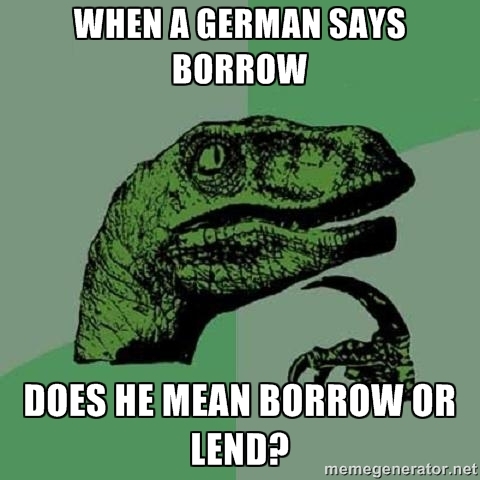 Germans often have trouble with the words BORROW and LEND. They often say BORROW in both cases. Why? Probably because both translate as "ausleihen" in German. So what's the difference? BORROW means that you receive something and then give it back. LEND means that you give something away and then get it back later, hopefully. Larry owns a car. Barry does not. Since Larry is so nice, he allows Barry to use the car for a weekend trip. In this case, Larry LENT Barry his car. Barry BORROWED the car ​for the weekend. Want some more tips on how to speak correct, natural English? 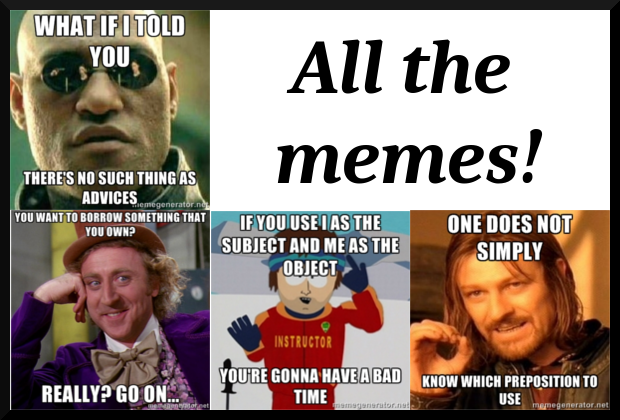 Here you can find all of the memes I've made to help you increase your confidence when speaking English.